Recognition takes many forms, such as a mention in the mass media, praise from your peers, congratulations from your family and friends, invitations to speak, and importantly, reaction from the consumers of your work, the readers. When your book first comes out, you can feel self-conscious. What right have I to thrust my scribblings onto the world? But as the plaudits come in, you realise that you may have strung some words together in a more than acceptable manner. You start to enjoy the sensation you have given pleasure to a lot of people. Once found, readers love your books. Your reputation is growing. But how do you find wider recognition? 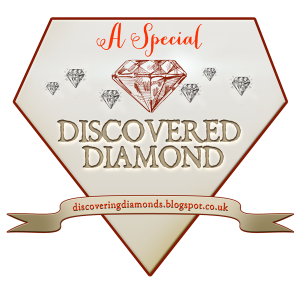 Endorsements, prizes and reviews are three ways, and I love them! 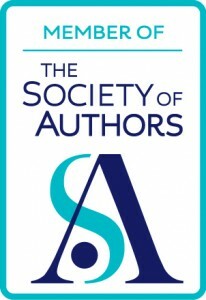 SUCCESSIO, AURELIA and INSURRECTIO were selected as the Historical Novel Society’s indie Editor’s Choices (second logo from left in the image above) and so longlisted for the HNS indie Novel Award in the year they were published. AURELIA made it to the last four (centre logo)! On Amazon UK INCEPTIO has over 80 reviews, the others mostly over 20 and all with high average stars, even 4.9 for AURELIA. 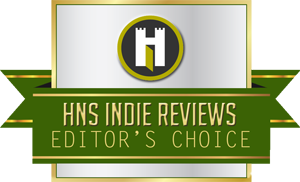 And SUCCESSIO was picked as an Editor’s Choice in the first indie review in no less than The Bookseller! But today I’m looking at the awards that have been given to the Roma Nova books. 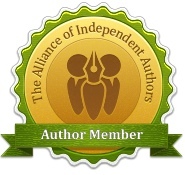 Indie books generally don’t attract the ‘big’ prizes given by a prestigious panel of judges, but there are many valuable awards specifically for indies that are given by that even more critical group — the readers. Not all awards are equal. It’s worth looking at the conditions and eligibility rules as well as the range of books that have won the awards. 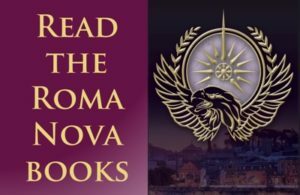 Taking my courage in my hands, I submitted the Roma Nova books to the independent quality mark organisation indieBRAG. It has a fearsome bar – a 90% rejection rate – which, of course, enhances the value of its award. ‘BRAG’ stands for Book Reader Appreciation Group and the group examining each book consists of ten experienced readers; all ten have to like your book! 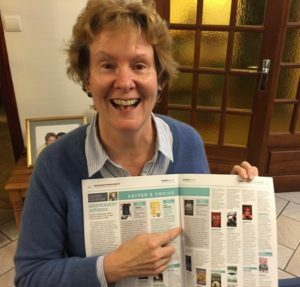 The latest, awarded this week to AURELIA, is called ‘Chill with a Book’ Reader Award and was set up by the indefatigable Pauline Barclay. Once again, the books are judged by readers. Readers are the ones who shell out their (taxed) money to support authors. In return, we give them hours of entertainment, an emotional journey, we open new vistas and sometimes cause them to think differently. Given the huge choice of books available today, quality awards based on pleasing readers give the wider reading public an assured guide into the world of new independent fiction. Against stiff competition, INSURRECTIO has been selected as Book of the Month by the ‘Chill With a Book’ reader award. 6 comments to Awards – do they mean anything? I also ran my own estate agency, and when we won the top three awards possible out of the whole of West Kent (60 other estate agents) and then the overall top award out of all the categories it was a wonderful moment, particularly as my previous business was ruined by two con-men and I’d had to start all over again from scratch. It was great to use the award in marketing the business and emotionally it was incredibly satisfying. So winning or achieving an award can give you the boost you might need to carry on. I, too, was excited to achieve the B.R.A.G award for my first novel. It’s a great sign that you’ve reached – even surpassed – a high standard. Sorry to run on. But I adore awards and winning competitions. So well done, Alison. You’ve certainly earned all your awards! Thanks for commenting, fenellaforster. Yes, it’s very validating, especially when you think that such awards are reader based. The following words resonated after my debut release last week! I was so scared that people wouldn’t like my book, despite it having won publication from a Choc Lit competition. You have done so well with your books and awards. I hope the praise keeps coming for both of us! Well done on your own success, Morton! This is one of the chief benefits of awards. They give you a bump up in self-esteem and if there is feedback, some golden advice for the next book. I definitely enter my novels into awards contests. 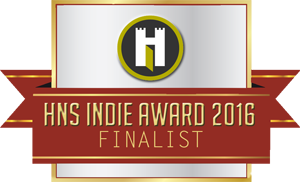 My first historical fiction, TREE SOLDIER won an EPIC-Ebook award for historical fiction. I learned about that from a live tweet from their conference. How cool was that? That was in 2011, I think. It’s won other awards since then. TIMBER ROSE got an B.R.A.G., a Chaucer Award, and was a 2016 book club pick for the Pulpwood Queens Books Club which has over 620 chapters worldwide. Such recognition is wonderful when you work so hard to write the best book. The gold stickers on the book also catch the readers eye when they see it on the shelf or next to the book on a website. Congrats on your recognition, Alison. Well earned. Well done on yours, Janet. It all counts; as affirmation for you as a writer and assurance for the reader that it’s worth their reading hours.